These kits have been designed to fit the needs of the resource center or library. 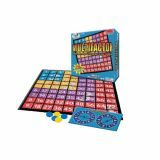 It's perfect for working with small groups of students with varying degrees of ability. 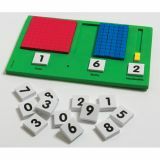 Includes 6 sets each of addition, subtraction, multiplication, division and fractions, for a total of 30 sets. 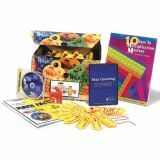 You'll also receive the 4 corresponding Wrap-up Rap CDs as well as our Math Facts teaching manual, a stopwatch, and four of our new 32 page Math Mastery books. The magnetic way to demonstrate numbers and operations! 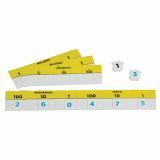 Large 2" magnetic discs provide whole group demonstration developing number sense. 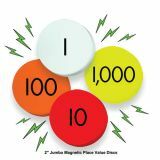 Color‐coded according to place value, the magnetic foam discs allow teachers (or students) to demonstrate on any magnetic board while students visually track what happens when numbers regroup in both addition and subtraction. 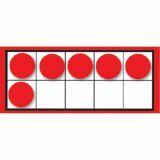 And they help illustrate that multiplication is the same as repeated addition, and division the same as repeated subtraction. 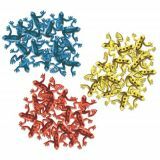 Set of 80 includes 20 each ones, tens, hundreds, thousands. Comprehensive but not complicated! 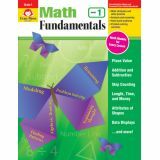 Math Fundamentals helps your first grade students navigate the new math. 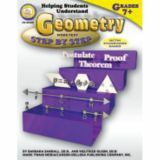 Math Models and “think” questions, plenty of skill practice, and real-world problems guide students in thinking through, analyzing, and solving problems. 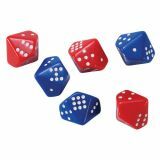 Teach students to quickly identify the number of items in a small set without counting with this set of 3 red and 3 blue ten-sided, 20mm subitizing dice. 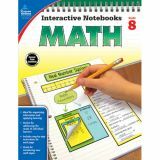 Depicts number patterns zero to nine.